Ellie Mai was born on February 5, 2006 to parents John and Lisa. She was a beautiful little girl who loved everything in life. She loved helping people and always put money in charity boxes and gave it to buskers. 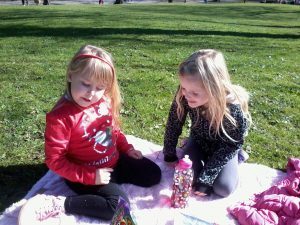 Ellie loved going to London to the theatres and Hamleys, playing with her best friends at school, swimming, baking, face-painting and dancing. She was very rarely ill. In January 2012 Ellie became wobbly. Her left hand became difficult to use and her temperament changed. We went to the doctors and presumed it was an inner-ear infection. Then she was sent home from school for falling. The next day we rang for an ambulance and Ellie was admitted to Hull Royal Infirmary. The following day, on her sixth birthday, Ellie had a CAT scan. We had to cancel her birthday party, which made her extremely upset. The scan showed a small abrasive tumour and that afternoon we went to Leeds General Infirmary where Ellie had an MRI scan the following day. The results came that afternoon. We were greeted by numerous doctors and nurses and the news they gave us changed our lives forever. We were going to lose our little girl. 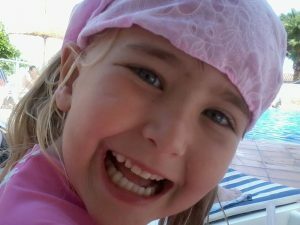 Ellie had an aggressive diffuse pontine glioma – a brain tumour. This particular one was very rare and incurable. The prognosis was that Ellie had a maximum of a year to live. The following day Ellie had an operation to insert an accessible portacath in her right side. This would be used for medication, blood transfusions and blood tests. When Ellie came round after the operation she was very poorly and upset. We both gave up work to spend every second we could with our precious daughter. Ellie then underwent six weeks of radiotherapy and chemotherapy at Jimmy’s in Leeds. For the radiotherapy there was a mask attached to Ellie’s head and then attached to a table. She was also placed on steroids, which caused her to gain weight dramatically. This made her very self-conscious and upset, saying she felt ugly. Ellie said she wasn’t a princess any more, and she kept hiding away. John spent the next few months searching the internet for a cure but to no avail. We stayed for most of the six weeks at Eckersley House, a home in Leeds for sick children, but all Ellie wanted to do was go home to her cat, Daisy. Once the treatment was finished we had a long wait until June for another MRI scan which showed the tumour had shrunk a little. Ellie had a five-day course of chemotherapy every month. Sometimes these were delayed by the need for blood transfusions, which became more frequent and caused her to come out in large bruises. Ellie wanted to do the things she did before she was ill. She attended school every now and then, usually for half-days as she became tired quickly. She spent a lot of time with our family and Aislinn, her best friend forever. Once Ellie stopped taking steroids she lost her weight and looked amazing. People were astonished at how well she looked. Her balance problems were not as noticeable and she was able to use her arm again. Thanks to all the community support we were able to take Ellie to lots of places. 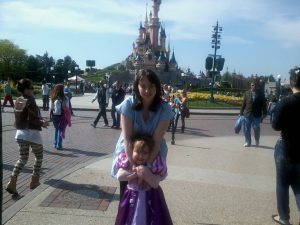 The Make-A-Wish Foundation sent us to Disneyland in Paris but with our luck as it was the princesses and other characters went on strike and the tea party was cancelled. We then went to Menorca, a farm in Devon and to London several times to go to the theatre and Hamleys. On December 11 we went to Lapland thanks to the When You Wish Upon A Star charity. In November Ellie was one of the children chosen to switch on the Christmas lights in Cottingham. On December 2 the mum of one of the children in Ellie’s class at school organised a fun day. There was a photo-shoot for all the girls in Ellie’s class followed by a limo ride to a pub for a party with animals and a Punch and Judy show. Ellie had an amazing day and was still quite well in herself. Towards November Ellie’s wobbliness returned and her hands became weak again. The doctor decided to take her off chemotherapy as it was no longer helping. We knew then she would probably go downhill quite fast. Ellie still never complained or asked questions. She just got on with being her loving, cheery self. After our Lapland trip she started to become ill. She was being sick, complaining of headaches, struggling to walk unaided and the problems with her hand were limiting what she could do. She was taken to Martin House Children’s Hospice where she was placed on a syringe driver which gave her a constant medicine supply. We got to Christmas and New Year but then we barely moved off the settee. Ellie’s medicines were having to be increased more and more often. In her last few days she was unable to eat or drink and she struggled with going to the toilet. She was sleeping between 15 and 18 hours a day and she lost her speech. Not knowing what she was saying broke all our hearts and frustrated and hurt her. We ended up trying to write things down. Ellie was such an amazing, brave little girl and a fighter. The nurses called her unique, and “a one-off.” She kept beating all the odds. We said goodbye four times but she fought so hard and kept proving everyone wrong. In the last week she insisted on visiting Bridlington, feeding the ducks, going to her favourite shop and even though she was so poorly on the Thursday she insisted on going to the Post Office to buy Lisa a lollipop. The following day we had the rare thunder snow and that night Ellie became unconscious. She slipped away in Lisa’s arms on Sunday 20 January 2013. Ellie was now with the angles and out of pain, but we miss her so much.